Power Homeschool is a program intended to aid parents in homeschooling their student. Parents may choose up to 6 courses at a time from numerous courses (grades PreK-12). Students are able to learn at their own pace under the supervision and assistance of their parent. Power Homeschool course materials are standards-based and provide a full online learning experience in each subject area. Each student may take up to six courses simultaneously and the selection of courses may be adjusted at any time. *These features are included in specific courses based on the grade and subject areas. 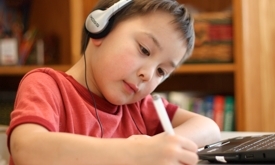 Power Homeschool allows students to learn at their own pace and on their own schedule. When a student struggles, the system provides additional instruction and practice as needed. When a student excels, the system quickly moves them forward as they demonstrate mastery of each concept. 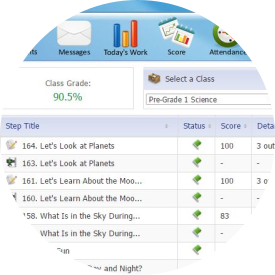 Detailed progress reports are available to Power Homeschool parents and students. 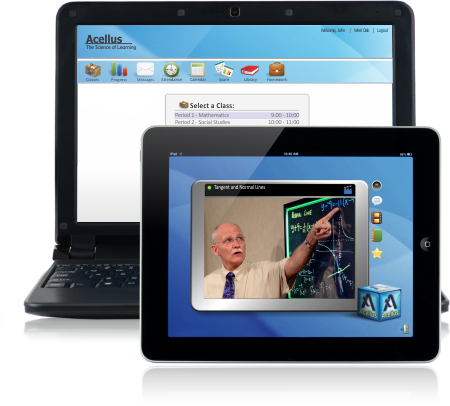 These reports indicate the student’s grade within each course and provide a score for each lesson completed. 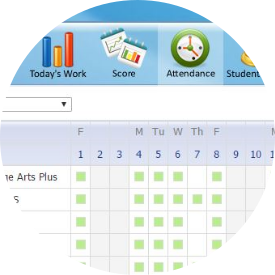 Student attendance is logged automatically by the system. Reports can be easily printed showing days when the student worked and total hours spent. Parents are responsible for ensuring adequate student attendance as dictated by their state’s requirements for homeschooling. In some states, parents may need to register to homeschool. Please be certain to research the homeschool requirements for your state. The parent is responsible to supervise the student’s learning since they are operating their own “school” from home.